Just a brief pause in the house updates to say that I hope everyone in the storm's path this weekend is safe and warm! Even though winter has not exactly slammed Chicago with the white stuff, it is still plenty chilly out there, and in weather like this, I turn to soup. Usually I like to begin a meal with a salad, some good fiber and veggies, a little bit filling to help me not overdo it with the entree. But while I don't abandon my salads completely in the cold months, I do tend to prefer to have soup on hand for everything from easy lunches, to a warming afternoon snack, to a replacement for my dinner salad. In terms of the whole dieting plan, healthy soups, especially ones that are veggie focused, can be a really useful tool for me when I'm craving comfort foods. And this one is an old family favorite, amped up a bit for my palate. First off? Please do not confuse this soup with the "Cabbage Soup Diet" soup. Yes, it is a cabbage soup, but it is the sweet and sour cabbage soup favorited by my Eastern European ancestors, and it has some oomph, not that watery wan sad stuff promoted as a way to quick weight-loss. This has sweetness from fresh orange juice, agave nectar, and thick sweet black soy sauce. It has acidic punch from fresh lemon juice, tempered with a mellow sherry vinegar. It is rich in fiber and super good for you, and with some of the optional add-ins, can be a meal unto itself. The recipe as-is is vegan, fat free, and clocks in at about 70 calories a cup, so it is a total guiltless pleasure. But even if you thicken it up with rice or barley, add beans or lentils, give it a twirl of olive oil, or even toss in a bit of leftover beef or chicken you have floating about, you are hard pressed to make it either unhealthy or horribly caloric. I make mine in the slow cooker, because it makes the house smell fantastic all day, but a large stockpot over low heat is fine too, ditto a big covered Dutch oven at about 250 degrees for several hours in your oven. The key is to cook it low and slow so that the veggies retain a bit of substance while getting soft and giving up all their goodness. If you boil it, it becomes mush. Delicious mush, but mush nonetheless. I usually make this big batch and freeze half of it for the next storm. If you have a favorite cold weather recipe, be sure to share in the comments section! Dump everything into a 6 qt slow cooker and add 7 c cold water. Turn slow cooker on high and cook 8 hours, stirring occasionally and tasting for seasoning. It should have a mellow sweet and sour flavor with a bit of heat on the back and some savory richness. Use the sherry vinegar and either sugar or agave to adjust to your taste. If you like it with more umami, try replacing the water with chicken stock. Serve hot with a sprinkle of chopped parsley. Approx 70 calories per cup. Cooked meats, like shredded chicken, small chunks of steak, ground beef, or even frozen meatballs! Things are really jumping over here at the Chateau! Appliances are arriving at a breakneck pace, all of the infrastructure is completed and we are in finishes and fixtures mode. Which means it is time to return to our conversation about color and paint. 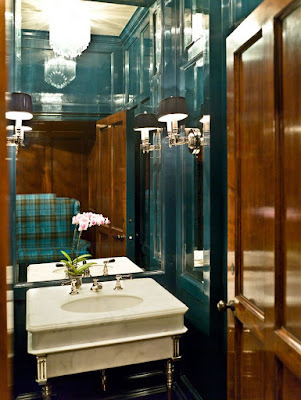 Remember when I shared with you my personal philosophies about paint and use of color in a home? Well, we've been making some serious design choices over here! I love that we have been able to continue to be passionate about color in this house, and feel strongly that we are making choices that feel organic to us and will be colors we will be excited to live with for many many years to come. Because I have written about Sherwin-Williams being the paint we have chosen to use in the house, they were kind enough to invite me to their annual presentation at the Merchandise Mart to announce their new colors and colors they see as being on trend for 2016. Since it was right around the time we were beginning to make design decisions, it was perfect timing and I was excited to see what they were presenting. Pura Vida (pure life): colors inspired by the elements that remind us to live well, be well, and stay well. Colors that are designed to flow in spaces that are about serenity. Mas Amor Por Favor (more love please! ): Colors inspired by social gatherings, garden parties, outdoor weddings, playful holidays, with heavy influence of floral elements. The kinds of colors you use in rooms where you want energy and connection. Nouveau Narrative: Colors inspired by the current levels of industrial evolution, the repurposing and reuse of older machinery because it is better built than some of the new stuff. Rugged strong colors that stand the test of time. Trajectory: Colors inspired by the pace of technology, how the boundaries between art, science and commerce continue to blur. When I listened to their experts explain how these various color palettes worked together, and why the colors connect in the ways they do, I realized that it would be enormously helpful in looking at the color choices we were confronted with. So we decided to really go for it, and see if using these four categories could make our decisions easer. And boy did it! We literally chose every color for the spaces out of these four groupings and even though in some rooms we chose different specific colors (lighting changes color a great deal, so even though you think a swatch is the right one, you still want to test several colors in that arena before committing. Here was what we ended up with! Pura Vida: Serenity spaces. This palette is a lot of greys and beiges with earthy elements. When we looked at some of our spaces, the smaller guest bedroom, the pantry and kitchen library...those are the rooms that felt like they should have that element of serenity about them. So when we began to think about design in those spaces, the colors became clear. The first serene space is the smaller of the two guest bedrooms. This is the room we call The Paris Room, one wall is going to be a floor to ceiling antique map of Paris, and we wanted the space to be a cosy little room that would remind guests of a perfect pied a terre. So we wanted a pale gray to keep the room from feeling closed in. Useful Gray from the Pura Vida was our inspiration, but it didn't shock us when Light French Gray became the final choice, it seemed just too perfect! Then, we looked at the pantry and kitchen library, because those are my happy spaces and by their nature bring me that sense of calm and well-bring this palette is going for. 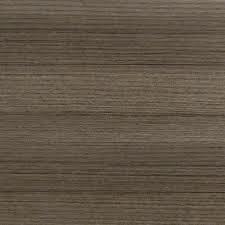 The deepest color in their list was Urbane Bronze, a deep dark chocolate brown with just a hint of dark gray in it. The minute we saw the sample in those spaces it just sang, so both the pantry and kitchen library got that gorgeous rich color. When it came to my office, that was one space that felt a little bit conflicted. On the one hand, the Nouveau Narrative certainly seemed like a natural fit, since my whole working life is about New Narratives. But there was also an energy in Mas Amor Por Favor that I felt was invigorating creatively. Luckily, I'm a Gemini, and very much an AND girl instead of an OR girl, so I found that space best served with a little bit of both! For the walls, I was inspired by the Mas Amor Tansy Green, a bright green with a bit of mossy olive in it that seemed like it would be an energizing color to work in. The exiting part? Not even using that color in paint...we are upholstering the walls in velvet that color! I know, sounds nutty, but I've never had that special "Room of one's own", and loved the idea of the color having that tactile cushion to it. Then I saw pictures of this room, and knew I was right! Green velvet walls here I come! Doesn't that look lush??? I also loved the deep glow of the Relic Bronze Metallic from Nouveau Narrative. There is a wonderful tray ceiling in my office and I have a vintage chandelier that I wanted to use in that space, so painting the inside of the tray in the Relic Bronze Metallic would create a wonderful warm glow overhead that I just know will keep the stories coming. Nouveau Narrative had many other treasures for us! For the den, which is a large room that has a lot of furniture and rugs with strong colors, we wanted something to balance all of that out, give it a mellow background. Morris Room Gray turned out to be the perfect color, a medium-light tone of gray with a slight undertone of green that will be a gorgeous foundation for the furniture, which is all in browns, burgundies, dark greens, brass and glass. The second guest bedroom is pretty large and is getting a massive suite of wood furniture, much of which is English Arts and Crafts, so that room feels a little British to us. The deep almost-navy blue in this palette called Naval was our inspiration, but because that room gets very little natural light, it got a little muddy. We ended up with Honorable Blue, which is one tone lighter in the same family, and will be a terrific foundation color for that space. Finally, in the kitchen, we needed a great color for the backsplash behind the stove, and what do you know, the brownish gray color called Backdrop was just perfect! I just love the connection between the wood and the high gloss teal! Tempe Star went a little too slate blue in the lighting in the bathroom, so we went with Oceanside which has a bit more brightness. As before, all hallway spaces are Superwhite, and the ceilings (except for my office) are Ceiling Bright White, to make sure that there is visual breath as you move through the space. We also went Superwhite in the kitchen because we wanted that space to feel light and airy in spite of the sheer volume of cabinetry and appliances being installed, so white was the obvious choice there. Same reason we decided to do the bathroom on that level all white. They are all friends, and once again, should flow well as you move from space to space with the moments of white linking them all together. So, thank you to Sherwin-Williams once again, I had no idea that going to that Colormix 2016 presentation would so influential! Have any of you ever been to something that really just inspired you to make some decisions for your home? Can't wait to share more...stay tuned! PS Just as an FYI, when I met the Sherwin-Williams folks and told them about the project, they were hugely supportive and have provided a small percentage of the paint for the project. But all opinions are, as always my own and awfully heartfelt! Can you believe we are almost done with sharing appliances with you? I know, I know...this is the kitchen of a thousand appliances, and guess what? I am neither ashamed nor disappointed! So now that you know almost all about how we intend to sauté, braise, boil, bake, and roast, steam and warm, not to mention how we are going to keep all our perishables from perishing, it's time to talk about all of those dishes and pots and pans and utensils that are about to get dirty! You know where we are going with this, it is DISHWASHER time. 4. Buy the best quality product you can afford! We planned for two dishwashers for this kitchen. We run our current dishwasher at least twice a day...we have two people eating breakfast at home, I eat lunch and snacks at home, plus I am usually testing recipes of some sort during the day, then we cook dinner. When we entertain, the dishwasher runs pretty much nonstop for about three days, a day and a half of prepping and cooking mess, followed by a day and a half of dishes, serving pieces, and glassware. We have it down to something of a science, we load all of the appetizer and dinner plates and flatware right in when we clear and set it to run. Then, when our guests leave, we empty, reload with the serving pieces and dessert items and run it again. In the morning we empty, reload with any remaining serving pieces and run it, and then one last time for glassware. I don't love doing glasses after a party with dishes, invariably there are some little bits and pieces that get stuck inside a wine glass. So I do all the glasses separately with an extra boost of finishing rinse agent so that they come out extra sparkly! So you can imagine our delight in thinking about halving the amount of time we spend waiting for one load to finish so that we can reload! Our current dishwasher is a pretty good model, and does a lot very well, but the one problem area has always been the flatware. On a day to day basis, when it is just the two of us making a few forks and spoons dirty and they have plenty of room in the flatware basket, there is no problem. But invariably for entertaining, some spoons get nestled, some things get stuck and at least 10-15% of the flatware pieces have to get run through a second time. So while we wanted all of the basics that you want in a dishwasher, large capacity, different cycle options, excellent efficiency, a dealbreaker for me was that I wanted a separate tray level for flatware. All of your cutlery pieces get their own little slot, so everything gets clean! 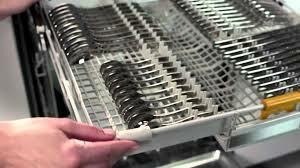 And the minute you research a cutlery tray, the first brand that pops up is Miele. For us, this was probably the appliance we needed to research the least, because we know about a dozen people who have them and every single one of them absolutely loves it! They swear by the functionality, many of them have some older models that still work beautifully without a glitch, and they all agree that the cutlery tray is something they will never go without again. So we were pretty sure going in that Miele was going to be our brand of choice. When we went to the showroom at the Mart in Chicago, that choice was completely solidified! 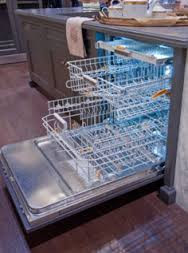 These things are the end all be all of dishwashers. There is amazing internal flexibility, trays that raise and lower to accommodate various sizes of things, and they are the quietest ones on the market. This is really essential since we will be doing most of our dinners in the kitchen, and it will be great to be able to run them with people in the room and not make a racket. They have four options for finishes, white, black, stainless, or panel ready so that they can disappear into your cabinetry. And they have a range of models with various features so that you can find the one that best fits your needs. We ended up picking the Diamond model. It had all of the features we wanted, the 3D cutlery tray, 8 different operating modes, including one for china and crystal, and a huge capacity, able to hold up to 16 placesettings at once! The trays are very flexible, so we can configure one for regular dishes, and one for pots and pans and large serveware. It is panel-ready, since we wanted to match it to our cabinets. It was the clear winner for us and we were very excited to have found it. So much stuff fits in these things! Fits right into your cabinetry. And then Scott in the showroom said...."You know this one has the knock to open feature?" He closed the dishwasher. Then he rapped twice on the door. And the door...POPPED OPEN. Okay, in our life we spend a lot of time explaining why we are going low-tech in many ways...this is not a "smart home", we aren't filling it with the latest gadgets and features, they all seem to me like unnecessary complications destined to create potential for little things going glitchy all the time. We are not putting in a garbage disposal in the sink (I hate them), or a garbage compactor, or any number of other non essential items. 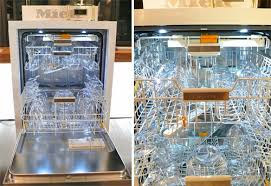 But I have to admit, when Scott knocked on that dishwasher and it gently popped right open as if to say "Hello there, how can I address your dishwashing needs? ", Charming Suitor and I were giddy as kids. And no, that feature is not why we chose the model we did. But yes, we did each knock on the dishwasher about 42 times before we left, giggling sheepishly every time. And I can bet that it is one of the first things either of us will do when taking new folks on a tour of our kitchen! Never thought I'd say it, but I cannot wait to start washing dishes up in here! Now that we have chatted about how to prepare for making appliance decisions, I want to start telling you about the appliances we actually picked, because THIS IS THE MOST EXCITING FUN THING EVER! Today, we are talking about some bonus heating appliances. That is induction, steam, and warming. Now for most, a rangetop or stove and wall ovens are the beginning, middle and end of heating appliances. The good part about our kitchen is that the size of it also meant we could add in some extra pieces that would make life easier and make cooking more fun. And while we are insanely excited about our imminent BlueStar gas rangetop, we are also very intrigued by the new innovations in induction heat. We were first excited by the idea of incorporating induction into the kitchen when we ate at Troisgros in France. A three-star Michelin restaurant, the chef, Michel Troisgros is a friend of a friend, and when we ate there, we got a tour of the kitchen and then some quality time chatting with Michel. The kitchen is ALL induction, no gas cooktops anywhere. His reasons were many. One, in a restaurant kitchen, with so many people cooking all day every day, it was nice to not be creating such a hot environment. Traditional gas or electric cooktops are literally generating heat, some of which transfers to the pots and pans, but a lot of it escapes into the room. Ever notice that while your everyday dinner might not make your kitchen warm, on holidays and special occasions, when the oven and stove are on all day, the place becomes a sauna? Imagine that ten time overs. Induction heats faster than regular methods, you can literally bring a big pot of water to a boil in about 90 seconds with some models, so when you are cooking for over 100 people a night, speed is helpful. After we got home, we started to look into induction more seriously. Induction cooktops work by electrically generating a strong magnetic field, which turns your cooking vessel into a magnetic conductor, and heats it up rapidly. So instead of gas or electric, which create heat which is then transferred to your pots and pans and then to the food inside, induction doesn’t create any heat at all, it sends out the magnetic current and your pots and pans become the heat source! Very space-agey. 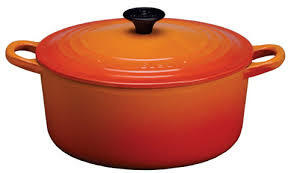 The only downside is that you have to make sure your pots and pans are made of the right materials for magnetic conduction, so our All Clad and Le Creuset will work really well, but it won’t work for copper, aluminum, or glass or pyrex. One of the reasons induction heat is a secondary source for us is that we want total flexibility for all of our cooking applications, and for some stuff, gas will still be better. But for speed? Induction rocks. I love that fast boil option, and I also like the idea that the cooktop itself never gets hot, so you don’t have to worry about burning yourself. The kitchen had a peninsula built in, and we had debated putting in a smaller cooktop there, so that we could do quick appetizers or sauce plates without having our backs to our guests, and we decided it would be the perfect place to have an induction burner. We started to research, and there were a lot of options. But then one jumped out at us. 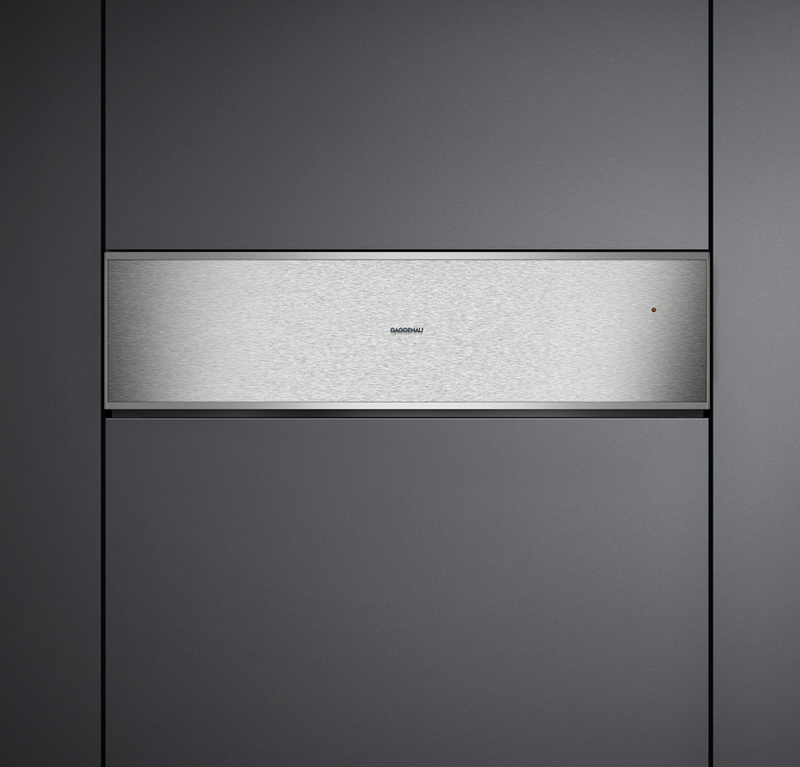 Gaggenau. 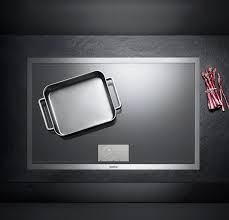 Gaggenau was one of the companies we explored when we were looking at gas cooktops and wall ovens, and they had not been the right fit, mostly due to some of our capacity needs…but we had really appreciated their function and styling, and knew that they had a terrific reputation. I called the local Chicago contact, a charming man named Kais, to set up a meeting, and it turned out he had plans to be in New York the following week when Charming Suitor and I were also going to be there visiting friends, and he invited us to meet him at the NY showroom. Kais was so wonderful. First of all, the showroom was insane, rooms set up as full kitchens with the total range of all of their products, all live and working for testing. Kais gave us a tour, talked with us about what we were thinking, and asked some questions about how we cook and live. And then he recommended some products. First and foremost? He suggested their full surface induction cooktop. Most cooktops have four or five “burners” much like an electric cooktop, circles of various sizes where you would put your pots or pans. This is very useful when the cooktop is the only one in your kitchen. But for us, since it was a secondary cooktop, the full surface would be much more flexible. Essentially the whole thing is one burner, and it automatically adjusts to the shape and size of the pan you place on it! So if you pull a big rectangular roasting pan out of the oven and want to make gravy in it? 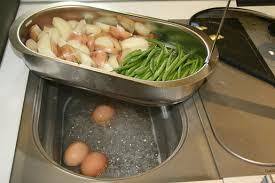 Put it right on the cooktop and it will know to heat the whole bottom of the roasting pan! No more making gravy over two burners with weird hot and cold spots. You can put things as small as 3” (butter warming) and as large as 13”x 21” (gravy for Thanksgiving turkey!). It will accommodate up to 4 different vessels at the same time, with timers for each different item, all done automatically and intuitively. So cool! CS and I were totally sold. Any size or shape pan works! But then? Kais took everything to the next level. He asked if we did a lot of steaming. Yeah, um remember the Artichoke thing? That goes from May-September, and doesn’t even include the steaming veggies that happen on nearly a daily basis around here. And entertaining? My go-to is a side of simple steamed green veg, whatever else I’m serving. This is where the in-counter steamer entered our lives. Again, this is a total bonus appliance, there is nothing at all wrong with a pot with some water and a steamer basket. But if you steam like we do, or if you are wanting to commit to easy healthy cooking, this thing is amazing. You can steam cook on two different levels with no flavor transfer, so we could steam fish and asparagus at one time for a fast healthy dinner and neither would be affected by the other. It plumbs right into our system, so no cumbersome draining problems. You can steam with any liquid, so water is fine, but stock or wine work too! And it has a wide range of temps, so you can steam cook something, then reduce the heat to keep it warm without overcooking. I immediately loved the idea of installing both the induction cooktop and steamer in the peninsula, imagining a steamer full of dumplings in easy reach of guests to nibble on for entertaining, something I’ve always avoided because steamed dumplings are best really hot and they are hard to keep warm once you remove them from the steamer. Not to mention how much easier it would make our lives day to day. Really cool how you get two tiers of steaming capability! Finally, Kais asked if we had thought about warming drawers, and we said we had, but that the company doing our ovens did not make them. He took us over to look at the Gaggenau warming drawers, and we knew that they would be perfect. 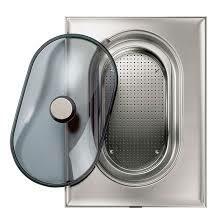 A simple stainless panel would mesh well with the colored wall ovens, without clashing. They have four different heat levels, so you can do everything from warming up your plates before dinner and proofing bread dough, to defrosting frozen meats, keeping hot dishes hot while you prep the rest of a meal, and even doing slow cooking! You can also use it for warm beverages, which in this current weather, makes me dream of hot spiced cider and mulled wine, but also would be the perfect thing for a batch of hot chocolate! They come in a 30” model, so they would fit easily below our ovens, and have a lot of capacity. Kais got us so excited about their products, and it was no surprise that we went in to look at one thing, and left in love with three! We were very grateful for the time and care he took in really finding items that matched perfectly with our needs. It was a really fun experience, and when we left we felt like we were really fully informed about the products, and it was cool to be able to see them all in action! So in the end, we went with the full surface induction cooktop, the in-counter steamer, and two warming drawers. Bonus appliances are exciting, but one of the places to be really careful and honest with yourself about the cooking and entertaining you plan on doing. They are certainly not for everyone, and often lie outside the main budget. If you are designing your kitchen and dream of one or more of these, but can’t do it right away? See if you can design your cabinetry in such a way that will allow you to come back later and add them when finances allow. You can rough in electrical and plumbing as needed for things you might be able to do down the line, and then just put in cabinets or drawers as placeholders until you can come back and add the things you love! Hope you all rang in 2016 with abundant joy and all due hopefulness for a fantastic year to come! Charming Suitor and I have built a lovely tradition in our time together. We have a small group of friends over for great food and lots of bubbly, very casual and cuddly. Sometimes there are movies, sometimes not, sometimes we make it to midnight, sometimes we don't. But we eat and drink well and laugh a lot and always feel like we are starting the year in the right way with the right people. The lovely part of this is that the group came together completely organically. It started six years ago with just us and one other couple...we made the decision spontaneously on Xmas eve when chatting at a friend's party and realized none of us had made plans or been invited anywhere. So we made our own little dinner party, and had such a great time, we decided to make it a habit. The following year, another couple, also finding themselves without plans, joined our merry band. We were six for that year and the next, and then the following, happy fortune! Dear friends who had been living in Texas for a decade called on Dec. 28 to inform us that they had moved home to Chicago, and we immediately looped them into our group. And then we were eight for that year and last year. This year they had a grip scheduled for the holiday, but another couple of dear pals who usually have their own celebration admitted to just not being up for it this year, and so we grabbed them up. All of these couples come from different parts of our lives, different social circles, but they mesh and blend beautifully and we love that NYE is so easy. Just a quick email to let our usual suspects know what time to come! The one challenge with having the same people every year is the menu. After all, you want every year to have its own bit of specialness. Some things remain the same...we always begin with oysters, potato chips, and a couple magnums of champagne. Simple, appetite whetting, and a perfect starter. We've done "retro", with prime rib, twice baked potatoes, and creamed spinach. We've done Southern, with a slow roasted pork shoulder, creamy grits, ham hock greens and black eyed peas. We've done upscale comfort food with spicy braised short ribs and celery root puree. We always pull out the good china and the fancy silver and make everything pretty. There is always a salad course, a cheese course and a dessert course. Sometimes an intermezzo, that little bit of sorbet or granita to cleanse the palate after the entree. Elegant abundance is our motto. But we wanted to do something fun and surprising this year. So our idea was to start as usual, and give everyone a menu that looked super fancy, and then shock them with a buffet of street food classics, all presented on or in our fanciest silver serveware! We also set up a bar that included a punch bowl of ice stocked with mini glass bottles of Coke and Diet Coke and pony sized Miller High Life (because it is the Champagne of Beers), in addition to more real bubbly, since the best wine with all these foods is definitely champagne. Everyone got their own bamboo tray with doily to pick up their dinners. Pulled pork on homemade rolls with homemade pickled red onions and dill pickle slices, in little cardboard boxes. Vienna Beef makes these adorable half-size franks, and I made the classic poppyseed rolls. In Chicago, we are pretty particular about our dogs, and the toppings are essential. Yellow mustard, neon green relish, chopped onion, sliced tomato, dill pickle spear, sport peppers, and a dash of celery salt. I did all of these toppings to scale for the mini-dogs, using mini dill pickles to make the spears and cherry tomatoes for the slices, so that when assembled the scale was perfect! The noodles next to the slaw cups. Now a couple of years back, I came upon this magical piece of serveware technology at a flea market. This is called an "Entree Server" and is comprised of a large chafing dish, surrounded by three covered oval serving dishes, a gravy boat, a salt shaker, and a small condiment bowl, all set into a large lazy susan with a hollow bottom that can be filled with hot water to keep things warm. You would put your entree protein in the chafing dish, with its gravy in the gravy boat, potatoes and two vegetable side dishes in the oval servers, and mustard or mint jelly or the like in the bowl. It is enormous. A full TWO FEET ACROSS. When I pointed it out to Charming Suitor he laughed, thinking I was joking, and pointing it out for its ridiculousness. I was most certainly not joking, and did some excellent haggling with the owner, and ten minutes later, shaking his head in disbelief, CS gamely loaded it into the truck. But if you are going to serve some non fancy food on NYE, isn't this thing the way to do it? Chili never looked so good! Sour cream, oyster crackers, shredded cheddar, chopped onions, sliced jalapenos...all the acoutrements. Yes, yes I did make my own Push-ups. Filled with strawberry champagne sorbet...aren't they cute??? Finally, a classic Chocolate Cream Pie. It was definitely one of the more fun meals we ever thought up, and cleanup was pretty much a breeze since most of the stuff was disposable. We settled down in the media room to snuggle on the couch and partake of the Thin Man Marathon on TCM...we watched the star go up the building, lots of hugs and smooches and then sent our guests back out into the world ready to start 2016. I wanted to take this opportunity to tell you all how grateful I am that you are still here with me, and I can't wait to share the stuff that is coming down the pike in the coming year! There is a new book, and a new kitchen, and lots of new recipes and entertaining ideas to share. Finally, there is STILL TIME to enter to win both a copy of Recipe for Disaster and a copy of Big Delicious Life... no one has guessed the right color of our new wall ovens from BlueStar. If you haven't read that post, you can do that HERE. 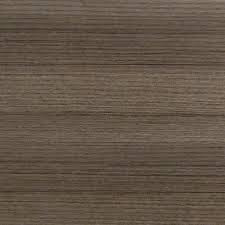 The floors are wood in a medium walnut finish, the walls are white, the trim is stained wood, and the counters are mostly white. The rest of the appliances are stainless. While some of you have gotten very specific with the color picks, choosing the actual color number from the palette of 256 available, I don't need it to be that complicated. Just name a color! And if you have your own fun traditions for NYE, don't forget to share with the group below as well. Finally, a quick and easy recipe. These spicy peanut and sesame noodles are good luck for the new year, the long noodles represent longevity. It is my friend Doug's recipe and so perfect it needs no change or embellishment. Its a great buffet dish for a party, but top it with the grilled meat of your choice and it is a meal unto itself. Cook the noodles to al dente; toss with 2 T peanut oil; set aside. Mix together soy sauce, vinegar, peanut butter, sesame oil, ginger, sugar. Toast the sesame seeds in a large pot. Remove and set aside to cool. In the same pot, sauté garlic in 2 T peanut oil; add red pepper flakes and sauté for a minute or two. Add the noodles and the soy mixture. Toss and mix over medium heat just until heated through. Cool to room temperature. Garnish with chopped green onions and sliced, cucumbers. Sprinkle with toasted sesame seeds.